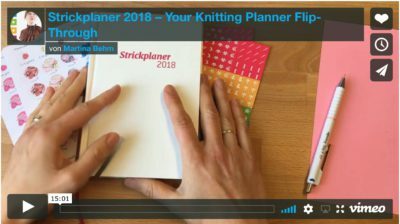 Strickplaner 2018 – your knitting planner is here! In this video on Vimeo I flip through it and talk about the planning tools. Enjoy! Available in Strickmich! Shop and from selected retailers.